If you have followed my blog very long - you may have noticed that I LOVE sweaters. I live in sweaters all fall, winter, summer, and spring... pretty much all the seasons. I love cozy, chunky sweaters in the winter. And, most recently I have been on the hunt for a retro hand knit fair isle sweater - like this one or this one. I am still looking - and have not found one - if anyone knows of any place that sells them - let me know. This fun fringe turtleneck sweater. This winter white pompom sweater that is on sale. This sweater might be an extreme - but I really would like to buy it. This fair isle zip sweater - I really like the color combo. This sweater - and I love how it looks with grey jeans. 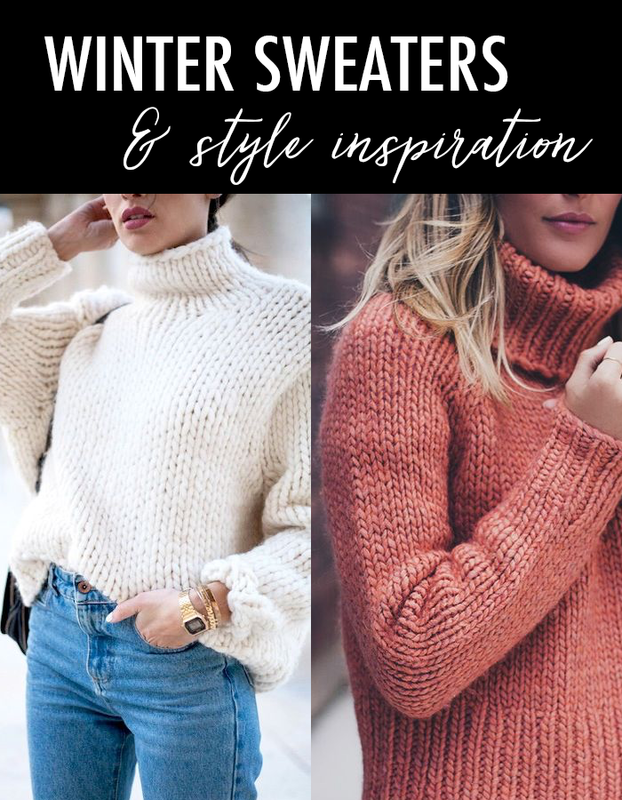 This chunky turtleneck sweater that is on sale! This mixed yarn sweater coat - in the perfect winter white. This is my favorite sweater brand - and I love the color of this sweater. I love this $20 winter white sweater. These velvet jeans for 50% off. Not a sweater, but this satin blouse. This scarf feels like Christmas - I love the green color. And, just in case you missed it - I shared some most popular items HERE. This look has moved into top place on most pins on Pinterest.